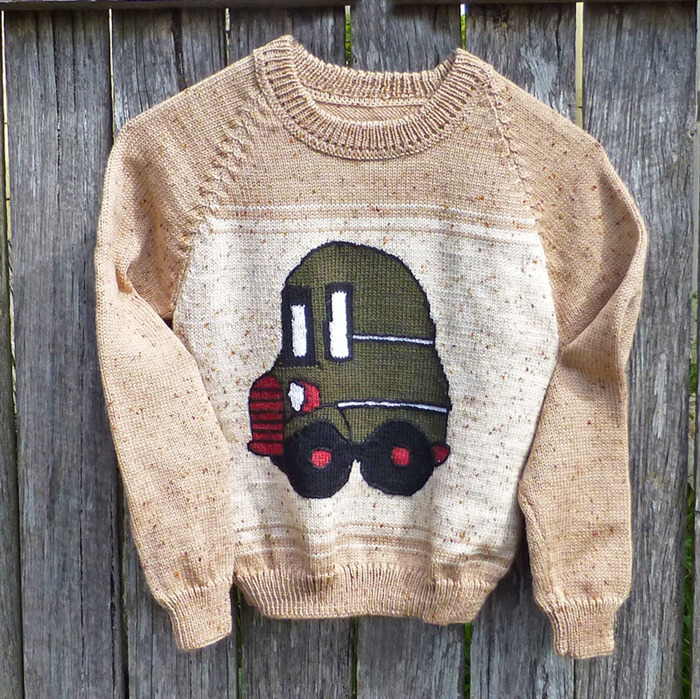 If your young lad is into buses and cars, he will love this jumper. 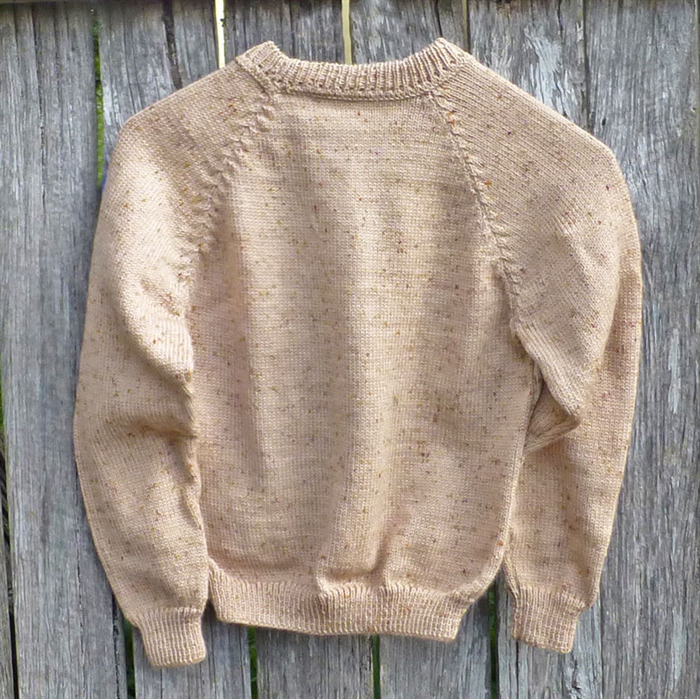 It has a round neck and raglan sleeves, and is knitted in 5ply machine washable pure Australian wool from Bendigo Woollen Mills. 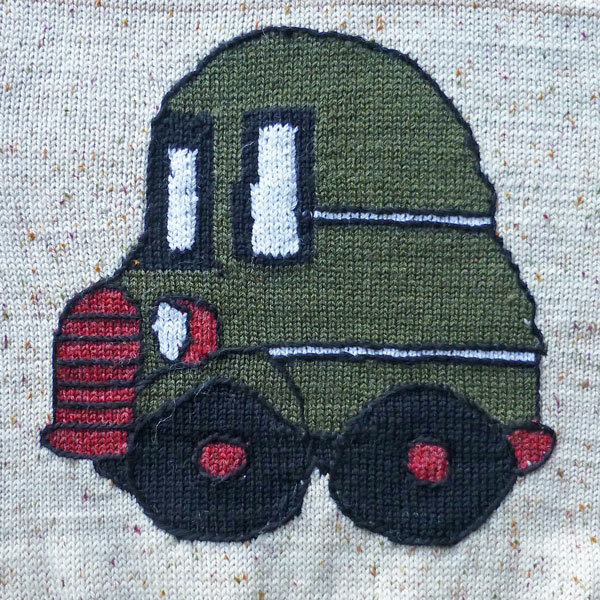 Main colour is fawn with a darker fleck, fairisle bus motif is knitted onto the paler cream flecked front panel. Size: to fit a 3-5 year old. Finished measurements - Chest: 78cm; length (centre back neck to bottom) 45cm; sleeve underarm seam 35cm; side seam 26 cm. Washing: gentle machine wash on wool cycle. Thank you for browsing my store. Please call again as I frequently add new items.